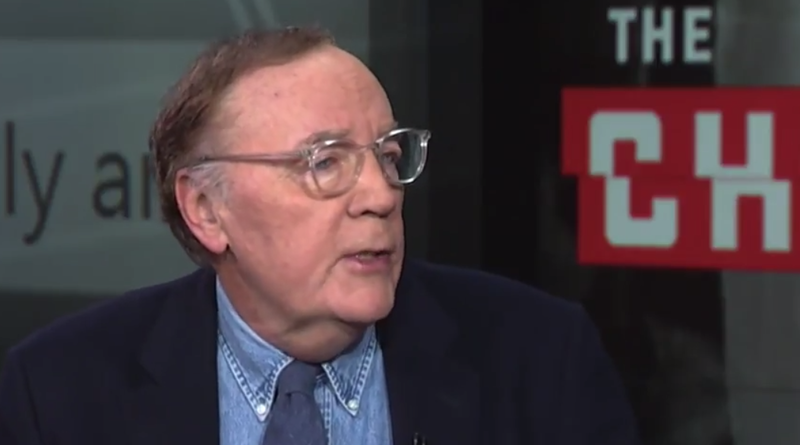 James Patterson is releasing his next book “The Chef” on Facebook Messenger. It will be a hybrid combining the written word with video and photography in an attempt to appeal to the millions of millennials that are on Facebook and tend not to read literature. This is about just drawing attention to publishing to books. Books don’t get as much so we’re trying new things. What this is and what’s exciting about it to me is you read the book and then it goes to film and you read the book and it goes to film and you read the book and it goes to film. It’s kind of like a bookie, a book meets a movie, and it’s free on Facebook Messenger. Why did I do that? Why would I give away a book for free? It just draws more attention to books which I think publishers need to do more of that. It’s a good story and you’ve never ever seen anything like it. It’s just so different. I think that a lot of people go out to Messenger and it’s about a three-hour experience, the whole thing, and that’ll be a success. We’re gonna put it out in book form in February and it will be longer and available at a regular price. Literally, you’re reading text and then all of a sudden you see film of what you were reading about. Then it’ll come back and then it might go to photography the next thing and then it might go to newspaper headlines, so it’s just different. This just goes on for about three hours and you can watch it on your phone obviously or on your computer. I love that idea of combining film, photography, books, and text. We went to Facebook and they said, yeah we’re in. They thought it was an exciting thing to do and different and they need content obviously. Well, I shouldn’t say what they need, that’s for Mark and Sheryl and I don’t know, but I think they need content, so here we are. I think it’s a mixed bag. I think independent bookstores are doing better. The whole retail business is in flux, obviously, because so much is done online. So hopefully, Barnes & Noble will rebound and I think they will. We miss Borders. Maybe 20 years from now, who knows, maybe it’ll all be done online, but for the moment in this country we really need literature and that can’t be done online right now. We need good publishers that are willing to experiment and do things that are unusual. I think Amazon has lightened up which I think is great. They’re in a position to do a lot of good. Initially, the sort of back and forth between them and publishers I didn’t think was healthy. I do think we need strong publishers and I think we need bookstores out in the world right now. As they say, that may change. I’ve changed my tune a little bit. I think they’re doing a better job now, there isn’t that back and forth thing that they were having with publishers. I like that Jeff is giving away a lot of money, I think that’s good.